Running in a field full of lavender and poppies--I'm not kidding. I think I saw visions of sugar plums dancing in my head while smelling it. 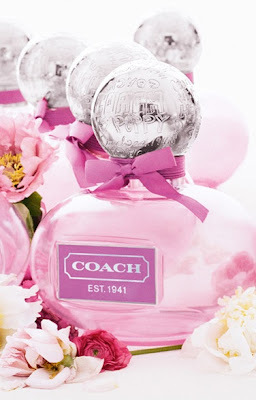 Poppy Flower is the second Poppy fragrance from Coach, and in case you couldn't tell before--I think it smells ah-maa-zing. Chic. Vibrant. Whimsical. Poppy Flower mixes bright fruits with soft florals to capture the romantic side of the Coach Poppy attitude. Sparkling notes of citrus, lychee and cassis blend with water lily and jasmine petals to create an airy, lighthearted fragrance. Poppy Flower is available now at coach.com (1.7 oz $65.00) but if you really want a steal--consider the Poppy Duo Rollerball for only $22. 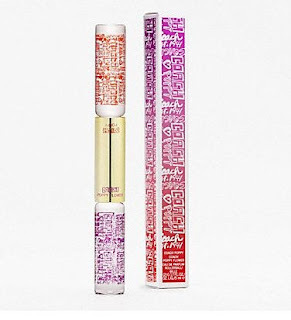 It contains both Poppy fragrances and it's easy to carry! *Products were purchased by me. It sounds amazing! Does the first one smell good too? I've never tried either one. Yes! The first poppy smells just as amazing. You should definitely try them out.